The Marsham Court is an Edwardian hotel overlooking the beautiful sea views of Bournemouth bay with it’s award-winning sandy beaches. Couples can pledge their love to each other outside in our beautiful wedding garden pagoda, or choose one of our wonderful indoor ceremony and banqueting suites, which can provide both a traditional or contemporary space to suit your personal preference. 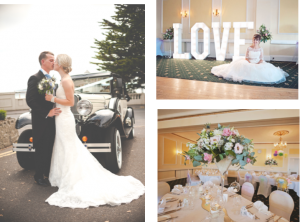 The hotel offers award winning event coordinators and staff to plan your special day. All dietary requirements are catered for and our talented culinary team will create specialised menus of delicious cuisine to satisfy your tastes and those of your guests. You have a choice of all-inclusive day and evening packages to choose from, we also have plenty of suggestions and options to help make your day even more memorable for you as the happy couple. Our newly refurbished Bridal Suite has a balcony with stunning sea views stretching across the miles of sandy Bournemouth beaches and is designed to provide the perfect setting for you to begin your married lives together. With no request considered too small, our goal is to make your wedding by the sea a lifelong memory you will cherish forever.